Offering a revisionist reading of American Methodism, this book goes beyond the limits of institutional history by suggesting a new and different approach to the examination of denominations. Russell E. Richey identifies within Methodism four distinct "languages" and explores the self-understanding that each language offers the early Methodists. One of these, a pietistic or evangelical vernacular, commonly employed in sermons, letters, and journals, is Richey's focus and provides a way for him to reconsider critical interpretive issues in American religious historiography and the study of Methodism. Richey challenges some important historical conventions, for instance, that the crucial changes in American Methodism occurred in 1784 when ties with John Wesley and Britain were severed, arguing instead for important continuities between the first and subsequent decades of Methodist experience. As Richey shows, the pietistic vernacular did not displace other Methodist languagesWesleyan, Anglican, or the language of American political discoursenor can it supplant them as interpretive devices. Instead, attention to the vernacular severs to highlight the tensions among the other Methodist languages and to suggest something of the complexity of early Methodist discourse. It reveals the incomplete connections made among the several languages, the resulting imprecisions and confusions that derived from using idioms from different languages, and the ways the Methodists drew upon the distinct languages during times of stress, change, and conflict. 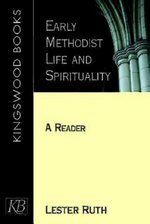 Representative writings of early American Methodists illustrating their spirituality and lives. This book presents primary source material from the writings of early American Methodists (ca. 1770-1820). Ruth topically organizes and sets each reading in context. Materials from Francis Asbury, Thomas Coke, Peter Cartwright, as well as rank-and-file Methodists are included. Ruth's book demonstrates that early Methodism was made up of both men and women and both Black and White persons. The primary material includes sermon outlines, journal and diary entries, excerpts from correspondence, hymnody and poetry, theological reflections, and contemporaneous historical descriptions. At dawn on the morning of November 29, 1864, Colonel John Milton Chivington gave the command that led to slaughter of 230 peaceful Cheyennes and Arapahos--primarily women, children, and elderly--camped under the protection of the U. S. government along Sand Creek in Colorado Territory and flying both an American flag and a white flag. The Sand Creek massacre seized national attention in the winter of 1864-1865 and generated a controversy that still excites heated debate more than 150 years later. At Sand Creek demoniac forces seemed unloosed so completely that humanity itself was the casualty. That was the charge that drew public attention to the Colorado frontier in 1865. That was the claim that spawned heated debate in Congress, two congressional hearings, and a military commission. Westerners vociferously and passionately denied the accusations. Reformers seized the charges as evidence of the failure of American Indian policy. Sand Creek launched a war that was not truly over for fifteen years. In the first year alone, it cost the United States government $50,000,000. Methodists have a special stake in this story. The governor whose polices led the Cheyennes and Arapahos to Sand Creek was a prominent Methodist layman. Colonel Chivington was a Methodist minister. Perhaps those were merely coincidences, but the question also remains of how the Methodist Episcopal Church itself responded to the massacre. Was it also somehow culpable in what happened? It is time for this story to be told. 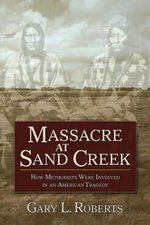 Coming to grips with what happened at Sand Creek involves hard questions and unsatisfactory answers not only about what happened but also about what led to it and why. It stirs ancient questions about the best and worst in every person, questions older than history, questions as relevant as today's headlines, questions we all must answer from within. Theology shapes who we are and how we organize to transform the world. Especially written for required United Methodist classes, this accessible book uses a Wesleyan theological frame--connection--to help readers understand United Methodism's polity and organization as the interrelationship of our beliefs, mission, and practice. 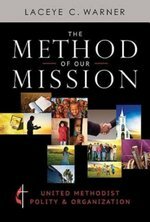 The book is organized into four parts--United Methodist beliefs, mission, practice, and organization. Polity and organization are primary embodiments of The United Methodist Church. Functional in nature, these aspects of the denomination facilitate our mission to make disciples for the transformation of the world. This book connects denominational governance and organization to our beliefs as well as our mission. A clear understanding of our identity--as Methodists with Wesleyan roots in connection--and our purpose--to make disciples for the transformation of the world--can help students of United Methodism navigate this treacherous landscape as present and future leaders. Warner also addresses the estrangement between theology and institutional structures and practice by framing governance practices and organizational structure within a Wesleyan theology of connection. This approach will assist current and future denominational leaders in understanding their practices of administration and participation in polity as a theological endeavor and key component of their ministries. This textbook has been updated with changes from the 2016 General Conference. Beginning in 1760, this comprehensive history charts the growth and development of the Methodist and Evangelical United Brethren church family up and through the year 2000. Extraordinarily well-documented study with elaborate notes that will guide the reader to recent and standard literature on the numerous topics, figures, developments, and events covered. The volume is a companion to and designed to be used with THE METHODIST EXPERIENCE IN AMERICA: A SOURCEBOOK, for which it provides background, context and interpretation. Commissioned by the General Board of Higher Education and Ministry for use in United Methodist doctrine/polity/history courses. 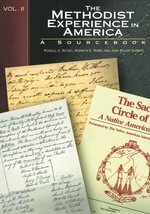 From a Sunday school teacher's account of a typical Sunday morning to letters from presidents, from architects' opinions for and against the Akron Plan to impassioned speeches demanding full rights for African Americans, women, homosexuals, and laity in the Church, this riveting collection of documents will interest scholars, clergy, and laity alike. 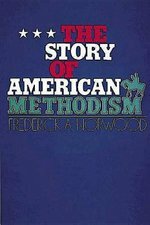 This Sourcebook, part of the two-volume set The Methodist Experience in America, contains documents from between 1760 and 1998 pertaining to the movements constitutive of American United Methodism. The editors identify over two hundred documents by date, primary agent, and central theme or important action. The documents are organized on a strictly chronological basis, by the date of the significant action in the excerpt. Charts, graphs, timelines, and graphics are also included. The Sourcebook has been constructed to be used with the Narrative volume in which the interpretation of individual documents, discussions of context, details about events and individuals, and treatment of the larger developments can be found. 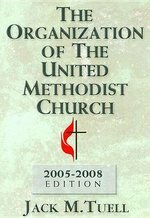 A revised edition of the perennial guide to United Methodist structure and governance. An indispensable guide for all United Methodists--especially pastors, lay leaders, church council members, confirmation and new member candidates and their instructors, and seminarians--the book is presented in a practical, down-to-earth manner for easy use by both individuals and classes, clergy and lay. 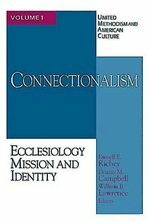 It highlights the functions and connectional relationships within the organization, beginning with the local church and continuing through connectional organs in districts, annual conferences and their agencies, jurisdictional conferences and their agencies, the General Conference, the general agencies of the Church, and the Judicial Council. Offering timely, relevant analysis of trends and issues, the essays in this collection address questions and concerns that will determine the shape and direction of the denomination in the next century. These essays cover policy issues and current events considerations that Russell Richey says "emerged as a priority" in sponsored conferences of the United Methodism and American Culture Project. Policy issues addressed include music, evangelism, contextual theology, urban losses, electronics & media, lay leadership roles and growth, bishopric election and leadership, the discipline of local churches, church finance, clergy compensation, and others. Contributors include Garlinda Burton, Dennis Campbell, Jackson Carroll, Ken Chalker, Meghan Froehlich, Frederick Herzog, Sarah Kreutziger, Andy Langford, William Lawrence, Priscilla Pope-Levison, Russell Richey, Kenneth Rowe, and Carol Voisin. A comprehensive one-volume history of American Methodism, tracing the development of a new church in a new nation from its beginnings with the Wesleys in England to the changes and challenges of later twentieth-century America. Black Methodism, the contributions of women, theological trends across 200 years--all emerge in clear detail. This book also includes the story of the Evangelical United Brethren Church as part of Methodism, as well as the cultural and religious pluralism of the country today. United Methodist Studies What is the distinctive role of seminaries in shaping religious thought and practice, molding professional church leaderhsip, and supporting the extension of the Body of Christ? Will this role change with the new challenges to theology and ministry in the next decades? Does pluralism mean the death knell for distinctive Christian claims to truth? Critical points of inquire and reflection are treated from a United Methodist perspective in this volume of conversations about theological education. In a time when the United Methodist Connectional System is being questioned throughout the denomination, this volume explains the roots of the system, its rationale, and its success. Chapter essays: Connectionalism and Itinerancy; Constitutional Order in United Methodism and American Culture; African American Methodists; Methodist Identities and the Founding of Methodist Universities; Redesigning Methodist Churches: Auditorium Style Sanctuaries; Wesley's Legacy of Social Holiness; United Methodist Campus Ministry; The Effect of Mergers on American Wesleyan Denominations; Determinants of the Denominational Mission Funding Crisis; and others. Includes essays about United Methodist congregations, patterns of giving, ministry in transition, clergy compensation, and the experience of various racial and ethnic groups, both in terms of how these groups were affected by Methodism and how Methodism was shaped by their experience. The collection offers a candid description of "golden era" Methodism, and challenges how the church recalls its history. 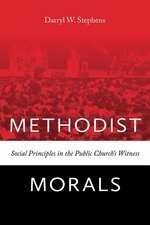 These new essays summarize the latest research by highly respected United Methodist scholars, exploring the distinctive doctrines and discipline of the denomination. Essays include An Untapped Inheritance: American Methodism and Wesley's Practical Theology; The Scripture Way of Salvation: Narrative Spirituality and Biblical Praxis in Early Methodism; Theology, Religious Activity, and Structures of the Lives of Ordinary People; The Doors of Opportunity: Methodist Theological Education, 1866--1925; What Makes "United Methodist Theology" Methodist? ; The Church as a Community of Moral Discourse; and Exploring Both the Middle and the Margins: Locating Methodism within American Religious History. Where has the United Methodist Church been and where is it going? 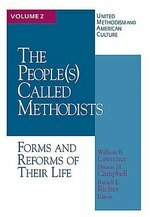 This new book by respected Methodist historians answers these questions, reviewing the accomplishments and challenges of United Methodism as it enters its fifth decade. From doctrine, theology, and worship - to homosexuality, abortion, and capital punishment - this insightful book examines the issues that have shaped and continue to shape the Methodist Church. United Methodism at Forty is essential to everyone who wants to understand what it means to be a United Methodist. 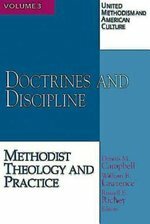 In this fourth edition, the bibliographies define the basic resources for students and instructors of seminary-level courses in United Methodist history, doctrine, and polity, as determined by the Advisory Committee of the Division of Ordained Ministry of the General Board of Higher Education and Ministry of the United Methodist Church. 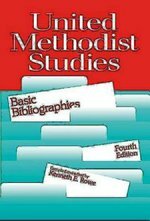 This essential, completely updated reference tool provides basic bibliographies for students of the Methodist movement and Wesleyan heritage. It identifies standard texts with emphasis on the best modern critical interpretations available. Materials are arranged topically, each entry carrying an item number, with an index for cross-referencing.